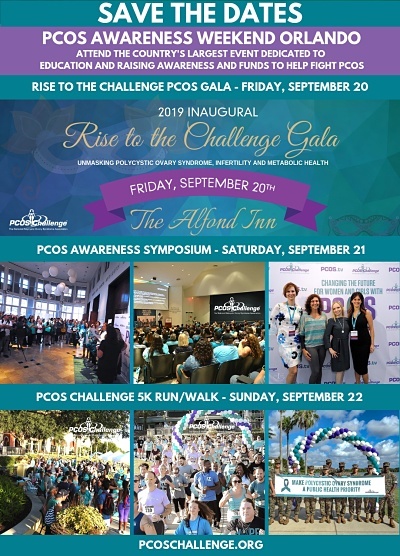 PCOS Challenge® is a groundbreaking 13-week cable television series created to improve the lives of women with Polycystic Ovary Syndrome with the help of health and medical experts. The series addresses common PCOS symptoms and related conditions including infertility, diabetes, obesity, heart disease, anxiety and depression, and hirsutism. The goal of the PCOS Challenge television series is to educate, inspire and spread awareness about PCOS while helping women with the condition to live healthier and happier lives. The ten women participating in the series receive guidance from three main experts – fitness coach Josef Brandenburg, nutrition coach and registered dietitian Rebecca Mohning, and emotional wellness coach clinical psychologist Ruth Wittersgreen. The cast of women also receive supplemental advice from other experts including an endocrinologist, dermatologist, internist, naturopathic physician, lipidologist, acupuncturist and others. As the participants compete in various fitness and healthy lifestyle challenges, they have the opportunity to win cash and prizes. symptoms, diagnosis, diet, infertility and treatment options. Click the button above on the right to view this video full screen. try using another web browser or try updating your flash player. grocery store visit and begin their workouts with Fitness Coach Josef Brandenburg. Emotional Wellness Coach Dr. Ruth Wittersgreen. PCOS Challenge Fitness Coach Josef Brandenburg to help with insulin resistance related to PCOS. shares integrative care approaches to PCOS. teaches them how to prepare quick and nutritious meals that work well for PCOS diets.